or any other “mortal sinner” that does not seem to take serious God’s demands. 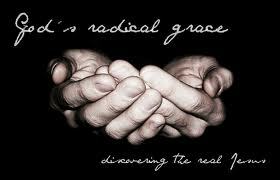 God’s grace is the most radical thing in the universe. It changes individuals, churches, and communities. It is time for the church to upgrade to the real thing. Are There Sinners In Your Church? We are of the same mind, my brother from another mother. Beautifully stated! Well said. Whenever we find a limit to grace and love, we must admit we are living out a lesser grace and love than that of Christ. And I must always remember that the grace and love I am showing today and am impressed with my ability to show today, will not be enough tomorrow….thank God for mercies which are new every morning.